There are several artists with the name Hawk: 1) HAWK is a Chicago band that plays stripped-down, raw rock with roots in garage and Americana. Alternative press said they combine "the crunch of AC/DC, the swagger of the Stones, and the melodies of Tom Petty." Their music is "inspired by 'the badass orange Camaro my brother had when we were growing up' leader/songwriter David Hawkins says, 'We'd drive around, getting stoned, listening to AC/DC, Zeppelin, Humble Pie, and the Stones...you know, REAL music. That's where these songs came out of.'" 1) HAWK is a Chicago band that plays stripped-down, raw rock with roots in garage and Americana. Alternative press said they combine "the crunch of AC/DC, the swagger of the Stones, and the melodies of Tom Petty." Their music is "inspired by 'the badass orange Camaro my brother had when we were growing up' leader/songwriter David Hawkins says, 'We'd drive around, getting stoned, listening to AC/DC, Zeppelin, Humble Pie, and the Stones...you know, REAL music. That's where these songs came out of.'" 2) "Hawk" is the main alias for the Norwegian producer & Dj H?kon Lofthus. He was born in Norway back in ?85 and has gained quite some popularity with his progressive trance tracks. Despite his young age, he already has seven years of experience as a dj from small clubs to bigger parties. He has arranged some of the most successful parties in Norway, has had numerous radio-residencies, and is now quickly establishing a name in the international scene as well. 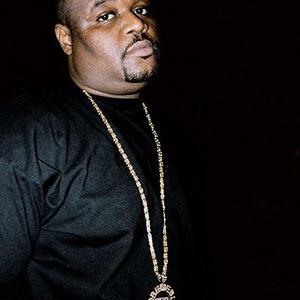 3) Hawk aka H.a.w.k aka Big H.a.w.k is also the name of a Houston rapper(rip). 4) Hawk was a unique African beat influenced Psychedelic Rock band from South Africa. 5) Hawk were a Metal band who originally had as drummer current Judas Priest drummer Scott Travis. Scott Travis was replaced in Hawk by former Guns N' Roses and current Velvet Revolver drummer Matt Sorum. Scott Travis appeared in Hawk band photos and reportedly toured with Hawk, but didn't record any albums with them. Hawk released a self-titled album with Matt Sorum on drums in 1986. Hawk also included singer David Fefolt (Valhalla, Masi, Forgotten Realm), guitarist and bassist Doug Marks, and keyboardists Dave Tolley and Steve Ayola among its members.